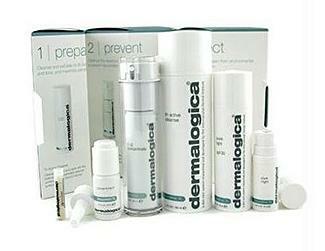 Dermalogica is one of the most popular skincare lines in the world. They use only the highest quality ingredients and avoid frivolous packaging and common irritants. Their focus on improving skin health through targeted diagnoses and customized product regimens has earned them a loyal following of customers who swear by the results. AGE smart is designed to stop and slow down the biochemical reactions in skin that cause aging, AGE smart uses vitamins, antioxidants, peptides, plant extracts, and more to help smooth and firm the skin to reduce and reverse signs of aging. Multivitamin Power Firm: This bestselling multivitamin complex is designed to eliminate and reduce fine lines around the eye area ($54). Multivitamin Thermofoliant: This top-rated self-heating formula uses a powerful combination of antioxidants and vitamins with chemical and physical exfoliants to brighten, firm, and refine skin while defending it against free radicals ($50). Power Rich: This ultra-rich moisturizer uses a powerful combination of peptides, vitamins, and botanicals to help reverse signs of aging by reducing fine lines, stimulating collagen production and nourishing skin ($180). Dermalogica's brightening line, ChromaWhiteTRx targets hyperpigmentation. It rapidly corrects and prevents discoloration by evening and brightening skin tone and improving overall skin health without the irritation or damage associated with many other hyperpigmentation products. Tri-Active Cleanse: Lactic acid and shea butter work together in this concentrated cleanser to brighten, even out, and moisturize discolored skin ($38). Extreme C: A formula using the antioxidants in white tea and magnesium ascorbyl phospate can be applied directly to problem areas or mixed into moisturizer to brighten skin and reduce discoloration ($85). Pure Night: This powerful moisturizer uses antioxidants in combination with gluconic acid to reduce surface discoloration and brighten skin overnight ($75). UltraCalming is Dermalogica's line for sensitive skin. It uses Dermalogica's UltraCalming Complex to control and relieve the physical discomfort and redness associated with immunogenic and neurogenic inflammation that cause skin sensitivity. UltraCalming Cleanser: Made for super sensitive skin, this bestselling gel/cream cleanser uses naturally calming and cleansing fruit and plant extracts like lemon, cucumber, and lavender to soothe irritation while gently cleansing ($34). Super Sensitive Shield SPF 30: A chemical-free sunscreen provides irritant free protection for while Dermalogica's patented UltraCalming Complex protects sensitive skin ($48). Barrier Repair: Dermalogica's UltraCalming Complex in combination with waterless moisturizer helps reduce discomfort and shield sensitive skin from common internal and environmental triggers ($52). The mediBac clearing system is specifically designed to treat and control adult acne. It uses ingredients like green tea and oat extract, among others, to prevent and relieve adult acne without the harsh irritation that can result from acne products designed for younger skin. Clearing Skin Wash: This bestselling foaming cleanser uses salicylic acid and antiseptic extracts to control the oil and bacteria that lead to adult acne ($34). Overnight Clearing Gel: This highly rated product is designed to combat the excess sebum and dead skin that can clog pores leading to adult acne. It also soothes and calms irritation overnight with ingredients like camphor and lavender essential oil ($46). Clearing Mattifier: Vitamin A, botanicals, and Dermalogica's custom cinnamon bark blend act together to regulate oil secretions and kill bacteria to reduce and clear breakouts while providing shine-control ($43). Dermalogica's Daylight Defense sun care line uses a vitamin complex called UV Smart Booster Technology to help protect the skin from the damaging effects of UV rays in a formula that feels less greasy than other products containing sunscreen. Extra Rich Faceblock SPF 30: A combination of chemical and physical sunscreen provides protection from the damaging effects of UVA and UVB rays while also providing deep moisture for dry skin ($48). After-Sun Repair: This soothing balm uses aloe, chamomile, and rosewood extract among other ingredients to relieve the discomfort of sunburn and help mitigate the negative effects of sun exposure ($32). The Body Therapy line is intended to care your entire body. It allows you to create a unique spa-like aromatherapeutic experience in your own home to keep your skin looking and feeling healthy. No artificial fragrances are used. Stress Relief Treatment Oil: This multi-purpose oil combines silicones to smooth the skin with essential oils like lavender and sage to moisturize along with tea tree, lemon, and ylang ylang extracts to promote relaxation and counteract the negative effects of mental stress on the body ($28). Ultrarich Body Cream: This award-winning moisturizer uses Dermalogica's exclusive Environmental Protection Complex in combination with hyaluronic acid and pro-vitamin B5 to provide long-lasting moisture for extra-dry and prematurely aging skin ($47). Exfoliating Body Scrub: Ingredients like papaya enzymes, rice bran, fig seeds, and lavender and sandalwood essential oils combine to gently polish and exfoliate to reveal smoother, healthier skin ($34). Shave is a three-step regimen designed to minimize the dryness, sensitivity, and irritation caused by shaving. Pre-Shave Guard: Intended to be used under shaving cream, this product uses camphor to help lift coarse hair away from the skin and add an extra layer of defense so you get the closest shave possible without dryness and irritation ($25). Soothing Shave Cream: Aloe vera, allantoin, and camphrey work together to help skin rebound from the damage caused by shaving, while anti-oxidants protect skin from free radicals ($18). Post-Shave Balm: Designed to moisturize and prevent ingrown hairs, this balm uses licorice, saw palmetto, and horse chestnut extract to reduce discomfort after shaving ($26). Clean Start is Dermalogica's product system designed for teens and young adults. It helps fight breakouts and maintain clear skin using less harsh ingredients than common acne fighters. Bedtime For Breakouts: Cucumber and licorice work to soothe skin and reduce redness while a potent blend of botanicals helps eliminate breakouts ($22). Hit the Spot: This popular targeted treatment uses benzoyl peroxide to kill bacteria, zinc sulfate to purify, and botanicals to soothe skin ($22). Perfect for combination skin, Dermalogica's Skin Health products are intended to mix and match according to your skin needs. They work with your skin to make it the healthiest version it can be. Daily Microfoliant: This popular exfoliant uses rice enzymes and salicylic acid to gently exfoliate the skin and create a brighter, smoother appearance ($50). Active Moist: This top-rated lightweight moisturizer is oil-free and uses silk amino acids and plant extracts to hydrate and improved skin's texture ($54). Total Eye Care: The alpha-hydroxy acids in this eye cream help reduce fine lines and wrinkles while diminishing dark circles. It also contains SPF to help protect against future damage ($43). Dermalogica skin care products are available at select retail locations and beauty websites. 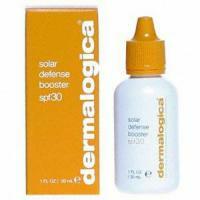 Dermalogica: Buy directly from the source from a Dermalogica's store or official website. Use the free online speed mapping service to determine the best products for your skin. Dermstore: Find a wide selection of Dermalogica products and get free shipping on all orders from the Dermstore. Amazon: Amazon offers thousands of Dermalogica products from various retailers. Look for free shipping and discounted prices. 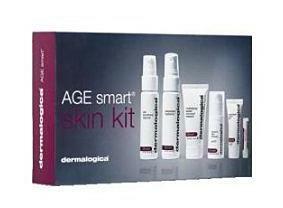 Ulta: You can find an extensive collection of Dermalogica products at Ulta. Check for free shipping codes. Dermologica believes that understanding your skin is the most important step in improving your skin health. Founded in 1986 by Jane D. Wurwand, Dermalogica was created to revolutionize skincare; it has become known worldwide as one of the most innovative and effective skincare systems available. They focus on improving skin health through education and products free of common irritants and flashy packaging. Dermalogica products do not use fragrance, lanolin, mineral oil, artificial coloring, or alcohol. Their products have earned a reputation as trusted and effective due to proven results spread mostly through word of mouth.